The Drowsy Chaperone is such an interesting musical when it comes to what the level of reality is and when it is that. The highest level of reality is when the Man is already breaking the fourth wall by speaking to the audience directly. As the musical progresses, he passes in and out of the Drowsy Chaperone Musical to explain it to the audience. Then there are other times when the moment is broken by some sort of outside force like the telephone ringing that brings him back to his highest level of reality. By the end of the of the play he is fully involved in the Drowsy Chaperone and any level of reality is simply not there. 1 – If it was appropriate in the 1920’s Drowsy Musical to use followspots – I did! 2 – If the man froze the Drowsy Musical to speak to the audience I gave myself the ability to followspot him but in a specific tint of blueish lavender. 3 – By the end of the show the man was in the musical followspot along with the other cast members as he was now in the show with them. Since this production was done in an education setting with a small technical theatre department, the followspot operators had no experience. I did start the rehearsal process for them a week earlier then their traditional tech week. I gave them instruction on how the followspots and headsets worked. I also then explained some of the terminology like, head shot, full body shot, bump out, fade out and such. Truthfully, they picked it up fairly quickly. The first two or three rehearsals they had I left light on stage. This way they had the freedom to make mistakes or not make the pickup and it would not interrupt the rehearsal process. During this process, I realized that the units they were using (the Lycian 400 Arc) were a little difficult to make the pickup without a telescopic sight. The light had a wonderful brightness to it. We called Lycian to find out how much their sights were for the unit. They gave a price but they did not have any in stock so it certainly wasn’t going to make our time frame. They gave us a lead on an aftermarket site, but it too was out of stock. So when faced with the challenge, I checked with our Technical Director and he said he would go to WalMart to see what he could find in the sporting goods section. 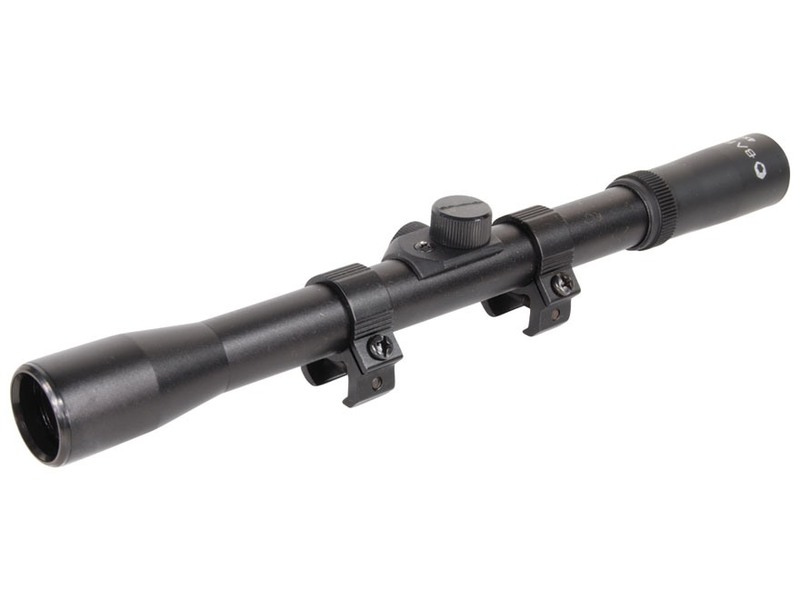 He came back with a rifle scope which cost around $20.00 that we were able to mount onto the heat venting fins of the followspot. WOW! They worked amazingly. The operators were able to pick up their cues with perfection. They never missed. All for $20.00! The installation process was the only tricky part. 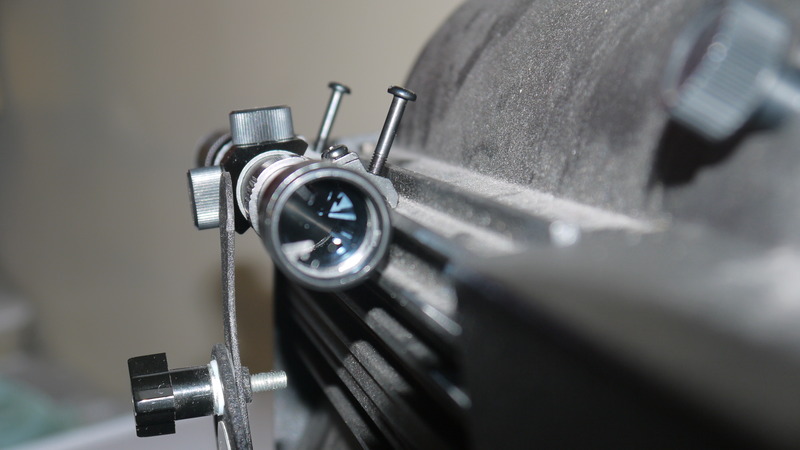 Every followspot is different and every rifle sight has a slightly different mounting hardware. However, if you are mechanically handy or if you can find someone who is, there is always a solution. Perhaps large magnets, or wiring the sight on. What I am saying is there is always a way. 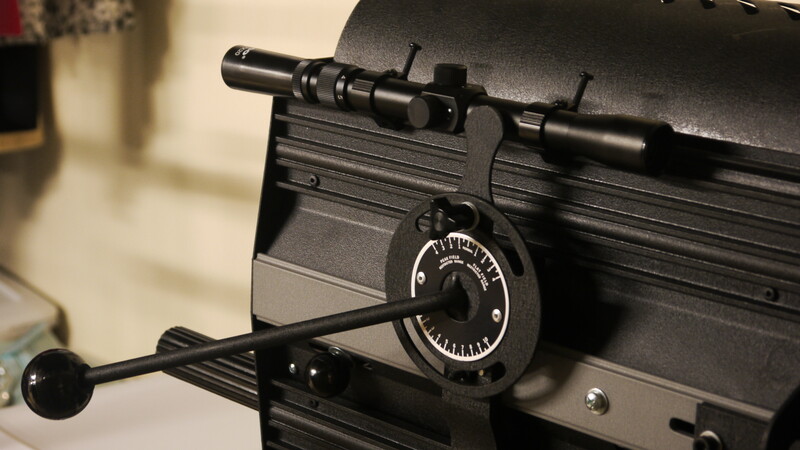 If your followspots are having trouble making their shot – experiment with some rifle sights. It doesn’t have to be the most expensive and you will greatly improve your chances of getting your cue right. Ahhh…. Drafting the good old Light Plot. For those who are very new to this, a light plot is simply a schematic of where the lighting instruments will be in the theatre. It also conveys different pieces of information about each unit. When I first started designing a good forty years ago it was simply by hand. 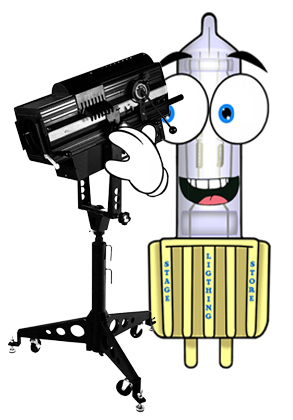 Mechanical Drafting with perhaps a little to the artistic flair was the way to go and you made your lighting instruments by using a lighting instrument template much like you would do a circle. During the early 90’s computer aided drafting began to emerge. While I was in graduate school there was a battle of whether that would be acceptable for school projects or not. The faculty at that time shied away from it using the argument that you would not always go to a place where there was a printer big enough to print out your plot. I argued against that but, alas, I was the student and not the teacher and lost the battle. On my own I had a friend who used a version of generic CADD. It was so simple and such a time saver. To me it was simply a pencil but with a fancy mouse instead. It really made the work go so much faster and repetitive tasks could be done with a push of a button. At that time your paperwork (Channel Hook Up and such) was still separate. Lightwright had become a norm and that was accepted by the teachers. 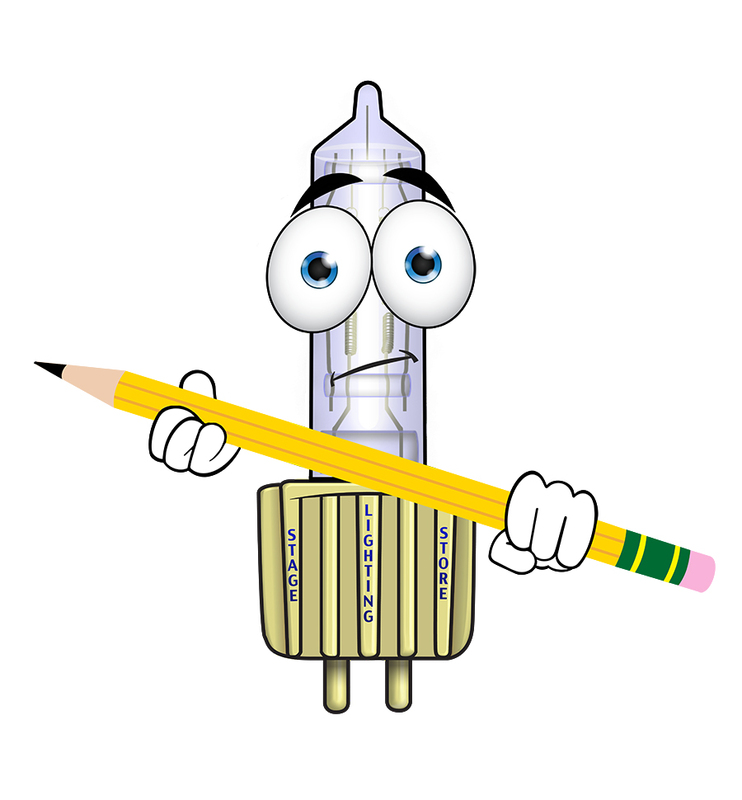 Sadly Generic CADD became discontinued. I moved to full blown CADD and that had its own challenges. Every time I was drawing a light plot I felt like it required me to have the ability to draw the Space Shuttle. Over time I mastered the skills to be able to use it successfully. Well, that was a good ten to twelve years ago for me. As some of you may, know I took a break from designing to build the StageLightingStore.com. I have recently started designing again with A Drowsy Chaperone at Jacksonville University. I went to pull out my old CADD and it just did not work on my new computer, for two reasons. The first is that it is a very old program and second – I have gone MAC! 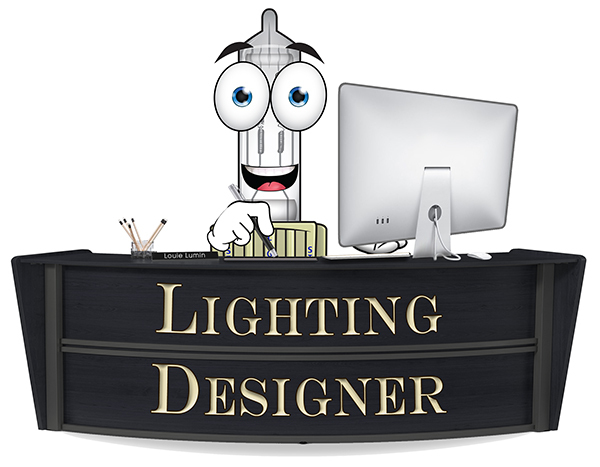 So I decided to take the plunge and purchased myself VectorWorks SpotLight. OMG what a program. I am not going to say that it isn’t complicated. 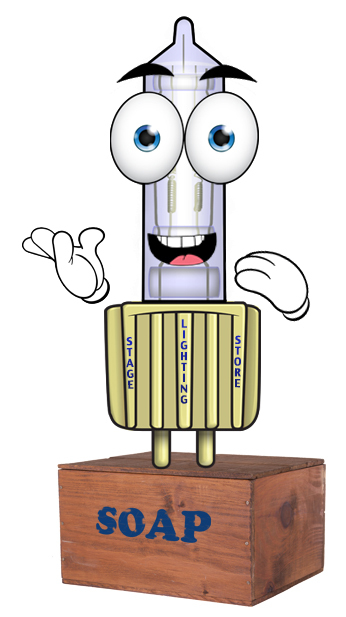 In my opinion, it combines pieces of Photoshop, Flash and CADD all in one. Once you get it though (I’m still working on that), it is a huge time saver. It can also create its own version of the paperwork or link to Lightwright. I guess my point is, it’s all a tool. The pencil of old has simply gotten more sophisticated and lets you do more faster. I am so glad that I made the leap and moved forward with the rest of the world. The journey continues in Part VI! Did I pick the right color? Gee, did I pick the right color? OMG, I hope I picked the right color! OK – now I am just talking about some down-ish back light here. 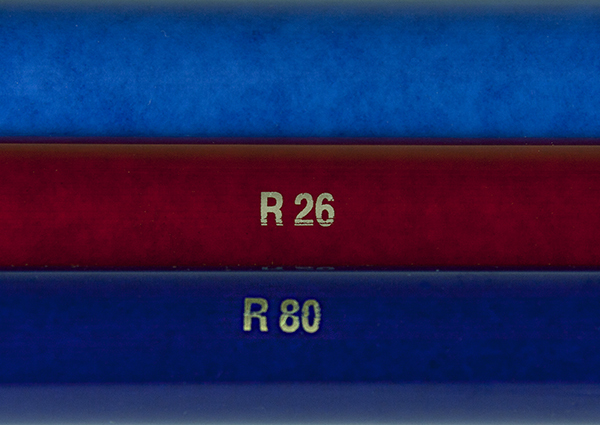 I have chosen a double 201 as a daylight shadow color, then a R80 as a romantic dark blue night color and then R26 as a red to be able to heat things up and tone them a bit. They are all RECESSIVE!!! I am worried. Perhaps I should move the daylight shadow color to a light blue with some green in it to clean up the picture a bit. Here is a good argument to have solid quality LED units. Instead of having to pull out the ladders, you can just dial up a new color to choose from. The COLORado 3P IP in action! Well, I have been away from the theatre for a week. The set painting should now be done, so indeed I will judge when I get in. I can’t shake the feeling that the double 201 will be turned into a light blue with some green in it. 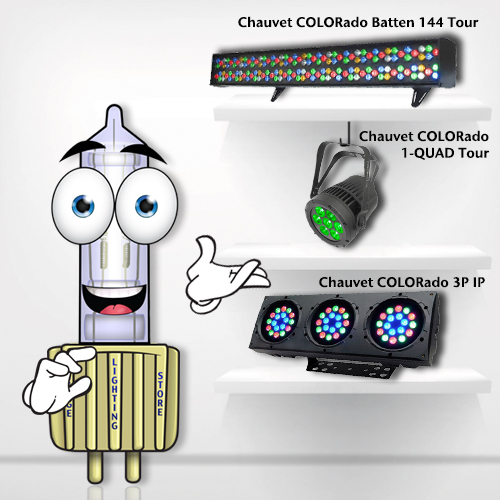 Visit the StageLightingStore.com for a wide selection of LED units, including more from the Chauvet COLORado series. We’ve had two production meetings so far and this latest one really brought up how much the scenery transforms throughout the show. We came to a general agreement that as the experience continues, The Man’s apartment becomes more and more transformable to the point where the apartment can completely go away, allowing for The Drowsy Chaperone environment to take over. There was also a discussion about how well-adorned or how fancy The Man’s apartment is. I brought up the point that I think he went through a nasty divorce that really drained his emotions and his pocket book. While he is living in a large studio apartment in New York City, it shouldn’t be an expensive one. Perhaps a rent control that he inherited. The furniture is from his Mom or perhaps Good Will. Certainly the record player is no fancy electronic device. From a lighting point of view we did discuss The Man moving in and out of the reality in his apartment, and the world of The Drowsy Chaperone. I did bring up the point that many Broadway shows put everyone in a followspot at all times simply to guarantee visibility to the performers. I don’t want to handle this show that way. The angle in this theatre for their followspot positions are very low and are great if you want the “Gypsy Rose Lee” look. That’s what I call the big white circle behind the performer followspot look. That will be great in The Drowsy Chaperone during an obvious production number but not good during any other time. So I would say there will be very few if any times that The Man will be in one. We also looked at the apron area where we need to hang a lighting position. The next thing is to figure out how to get some hanging points on an L-shaped, very substantial, piece of steel. The Set Designer/TD made a great point that if necessary we can always put a piece of square stock in the “L” and then we have a square piece to clamp around. I know the great people at Light Source will be helpful in figuring this part out! That’s it for today – more as it comes! The journey continues in Part III! Please join me in a design journey! I have to make sure I do a really, really good job. I can’t keep advising people to help them do a good job without doing a wonderful job myself. So as I tell people, “know the script, get to know the text, understand the piece”. I think I have read the script five times now. It is such a great show that I really can’t wait to help the audience understand where in time and place the show takes them. Once you know the show you have to answer the simple question: What is this show about from a lighting point of view? My goal is to help the audience understand when they are in the present day apartment of the “Man,” and then know when they are in the 1920’s musical – to be able to transform time and space, while keeping with the musical quality of the score. My side goal is to paint the stage in 1920’s lighting colors during the musical portion while balancing it with today’s visual sensibility. I have a theory that since so much of our entertainment is watching TV Sitcoms, that there is a balance of crystal clear light on the people that needs to be achieved, while being able to wash and texture the scenery with the more saturated colors from 1920 musicals. Technical side goal – I walked into the space where it is being performed and their box boom positions are too far back and there is no side light position or even a downlight position for the apron. This must be solved. I can guarantee that most of the play will find its way on to the substantial apron. I have to be able to treat that area effectively. So, until it opens in April I will share my experience with you and let you know how it’s going!